After 5 months of marriage, I am finally making a post sharing all the details of our wedding day! Cody and I didn't have a large elaborate wedding. We always new we wanted something smaller and more personal. 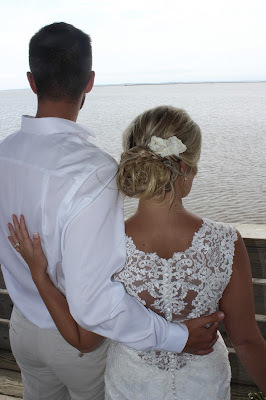 The Sanderling Resort was the perfect location for our wedding. The resort was located in the Outer Banks of North Carolina. They had a variety of options for the size wedding we had imagined. The resort made wedding planning minimal stress and so simple. They provided the most incredible wedding coordinator. She took care of connecting me with a delicious bakery, talented flourish, and incredible Reverend. Everything was so simple for Cody and I's busy schedule. 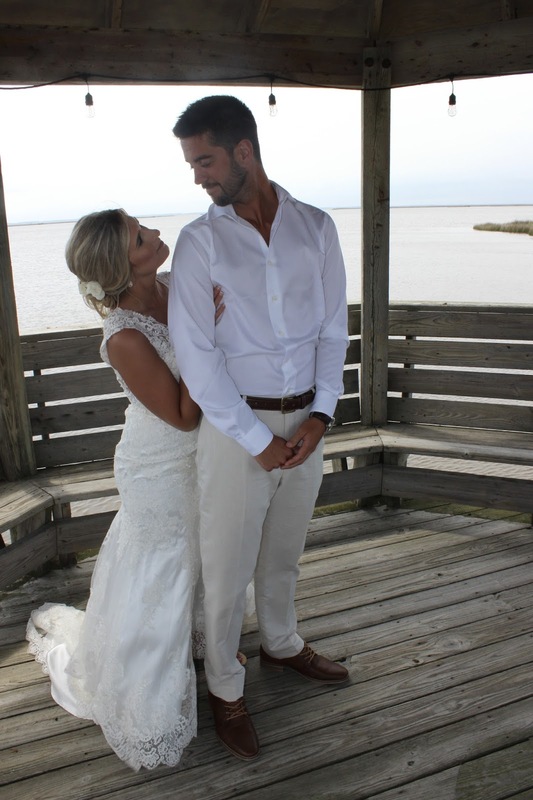 The original plan was to have the ceremony on the beach, and the reception inside this beautiful location. Well they always say rain is "good luck". We ended up having our ceremony and reception indoors. Luckily there was a break in the rain, so we were able to get a few outdoor shots on the beach and the "bayside". One of the perks to booking at the Sanderling Resort was their 2 night stay at the resort. We plan to revisit for anniversaries to come! Cody and I truly couldn't imagine a more beautiful venue for such a special day. Our Wedding day was stress free. We were surrounded by those we love most and I can truly say my heart has never felt so full. After almost 9 years together, I can officially call Cody my Hubby. God has given me such a wonderful man to walk through life with. I love sharing our journey with each of you through blog post, vlogs, & more. I will be sharing a separate post sharing all the details to my dress, accessories and etc.